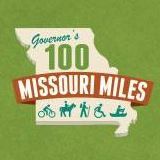 Missouri is home to a growing number of Walk Friendly Communities, a national designation awarded by the U.S. Department of Transportation Federal Highways Administration. We would like to see every Missouri community working for official recognition as a Walk Friendly community. If you would like to have your community recognized as Walk Friendly, visit the Walk Friendly America web site for application materials and more information. If you want your community to become more bicycle friendly, starting to work towards bicycle friendly designation is a great place to start. In June 2015, the MId-America Regional Council (MARC) held a Walk Friendly Community training--one of the first in the nation. MARC has published the materials from that training session, which include all the information your community needs to get started with the Walk Friendly Community program. Get your community on track to become a Walk Friendly Community today!